Let's face it, being a Democrat, or a friend or accomplice to a Democrat can be a risky proposition these days. With so many secrets to keep hidden, so many dirty deals to cover up and so many crimes, loose lips can not only sink ships, they can lead to indictments and lengthy jail sentences. With a such a premium on silence, there is an abundance of dead Democrats showing up all over the country, and the world. As the saying goes, "A dead Democrat is a terrible thing to waste." Now, with the help of modern technology and a good taxidermist, a dead Democrat can be recycled and used in a number of sectors from home improvement to sports and leisure. 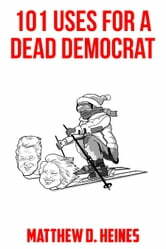 This amazing book is full of ideas and solutions for getting the most out of your dead Democrat. 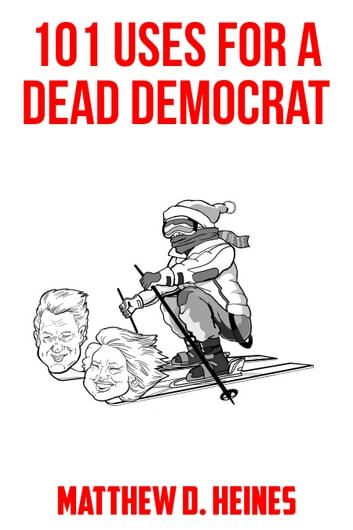 Be the first on your block to put a dead Democrat to work.